With Google, you can do everything they ask and still get penalized. Yes, white hats can finish last. Many people like Jon Cooper have stopped even trying for fear of being penalized. Don’t expect Google to overlook your minor mistake because you provide value to the Internet. Google has even penalized itself on numerous occasions, so they won’t be quick to show mercy to you if your site crosses their guidelines. They won’t admit it, but many brands are heavily dependent on organic search visits from Google. A penalty can drive a stake through the heart of a growing business. Frighteningly, even companies that do everything right can find themselves losing profits and laying off employees. Don’t believe me? Listen to some real-life horror stories of companies that got penalized. Companies often want to rebrand themselves by changing their domains. Moving to a new domain invariably affects organic search standing. Most brands don’t mind the temporary hit to their search performance if the new domain better reflects their image. Because Google restores their rankings if they properly deploy redirects to their new site. The Newark Nut Company had every intention of doing things right when they decided to move from the domain NutsOnline.com to Nuts.com. They wanted their domain to be easier to remember, but didn’t expect to lose 80% of their search engine traffic for it. They were understandably horrified when their search traffic never recovered. The webmasters submitted a reconsideration request to Google to have a previous penalty for spam removed, which Google agreed to do. However, the site still was suffering from limited organic traffic for months after the transition. 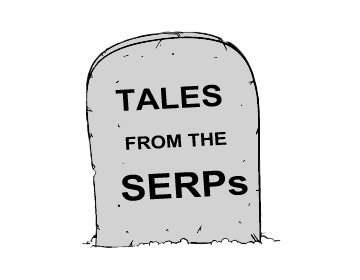 Here is another tale that spooks SEO folk. Some brands claim that Google penalized their website after conducting a manual audit. 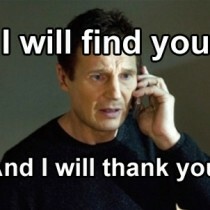 However, on closer inspection they are convinced that a real human never reviewed their site at all! Blogger Doc Sheldon actually wrote an open letter to Google after his site became penalized for participating in a scheme involving “unnatural, artificial, deceptive, or manipulative outbound links” (see My Blog Guest below). Sheldon claims to have logged into Google Webmaster tools and received a penalty, but it was clear that a real human never reviewed his site. Sheldon’s penalty was removed after he submitted a reconsideration request. Google was apparently faster to honor it than other webmasters, because his criticism of them went viral. Being fair for search engines doesn’t mean presumed innocent until proven guilty. If Google reviews your site and thinks you have committed a deadly SEO sin, then you can expect to get penalized. Unfortunately, this tendency has led to the rise of negative SEO. After recent algorithm changes, many SEOs feel it’s easier to bring their competitors down than to boost their own rankings. Negative SEO seems to be a growing problem, but it’s difficult to get any stats on how prevalent it is. Take a look at WPSitecare.com if you want to get an idea of how negative SEO can cripple a brand. Ryan Sullivan, the founder of the site, wrote that a competitor sent a ton of spammy backlinks to his site, which caused their search engine traffic to drop about 15%. The only solution is to identify bad backlinks and submit reconsideration requests, but this could take a very long time. It is even harder when unscrupulous SEOs send out emails asking for links to be removed on your behalf (or worse, changed to point to their own domain). Here is a screenshot from a spammer trying to get links taken down. How many shadowy SEO scammers have been hurting their competitors by asking unwitting webmasters to remove backlinks to their competitors? Bloggers came to know PostJoint and My Blog Guest as two of the leading guest blogging communities. Both of these communities allowed brands to introduce their content to bloggers in their niche and get link credits. Google fatally penalized both, igniting one of the year’s biggest stories in the SEO industry. PostJoint smugly tried to distance itself from My Blog Guest as a service that didn’t leave a “digital footprint”. But Google followed the trail of breadcrumbs back to their publishers, penalizing at least some members. The PostJoint blog hasn’t been updated in a year and a half. Both PostJoint and My Blog Guest were severely penalized in 2014 after Google decided to crack down on spammy guest blogging practices. Both of these brands were once dominating the front page for terms related to guest blogging and content marketing, but neither are ranking above page 5 for any relevant keywords. The owner of My Blog Guest, Ann Smarty wrote a letter openly rebelling against Google’s demands to remove “unnatural links to her site.” Many in the blogging community were impressed that she would stand up to the search giant. But My Blog Guest eventually added the ability for bloggers to add the nofollow tag. Even though My Blog Guest’s business model arguably didn’t resemble a typical link network, Google saw their intent as otherwise. My Blog Guest does not rank for its brand name to date. Key takeaway: Google dislikes tactics that manipulate PageRank. Even appearing to facilitate it can lead to a ban. Matt Cutts gave a very stern warning about guest blogging to get links. If you are going to be engaging in link building, you need to be very careful. Learn to earn them instead. 5. eBay Frightened Into Paid Search? Last year, Google hit eBay with a massive penalty… that cost it an estimated $200 million. Ouch! Some experts believe that Google specifically targeted eBay to force the site into using more paid search. Some argue that the penalty was done to punish eBay for pulling back on ads. Does this mean that Google will target your business? They probably won’t if you don’t violate their policies, but you never know what Google will do. 6. Mistakenly Doomed To Poor Rankings? Just keeping your eyes peeled for negative SEO attacks isn’t enough. What about good old-fashioned human error? Did you know that the Google webspam team can accidentally punish the wrong site or mistakenly believe that you are violating the guidelines. My Social Web was penalized last year. Google claimed that the site was selling links and imposed a manual penalty, but the webmaster insists that he only used relevant, natural backlinks. People often talk about Google like it is the god of the Internet, but it is made up of humans that are prone to make mistakes. I wonder how many others suffered for similar mistakes? The lesson here is that you should try to link as naturally as possible, but there is no guarantee that you won’t get penalized. 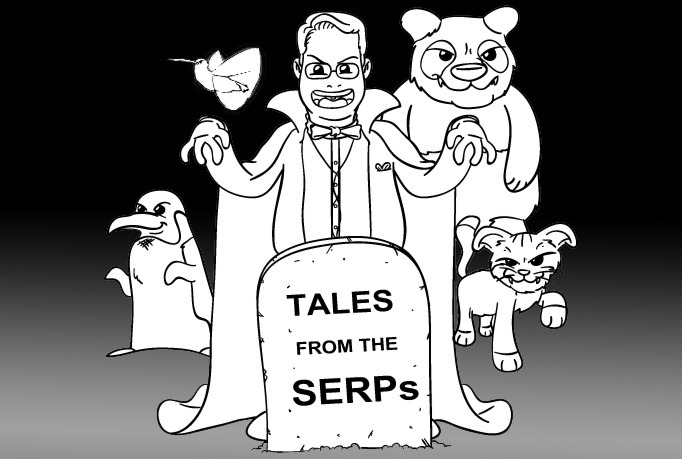 I suspect that you’ve encountered some of your own scary tales from the SERPs.